Hard to believe AKG could deliver the quality of sound and connectivity you’ve come to expect in such an ultra-small model. Available in 2 colors. 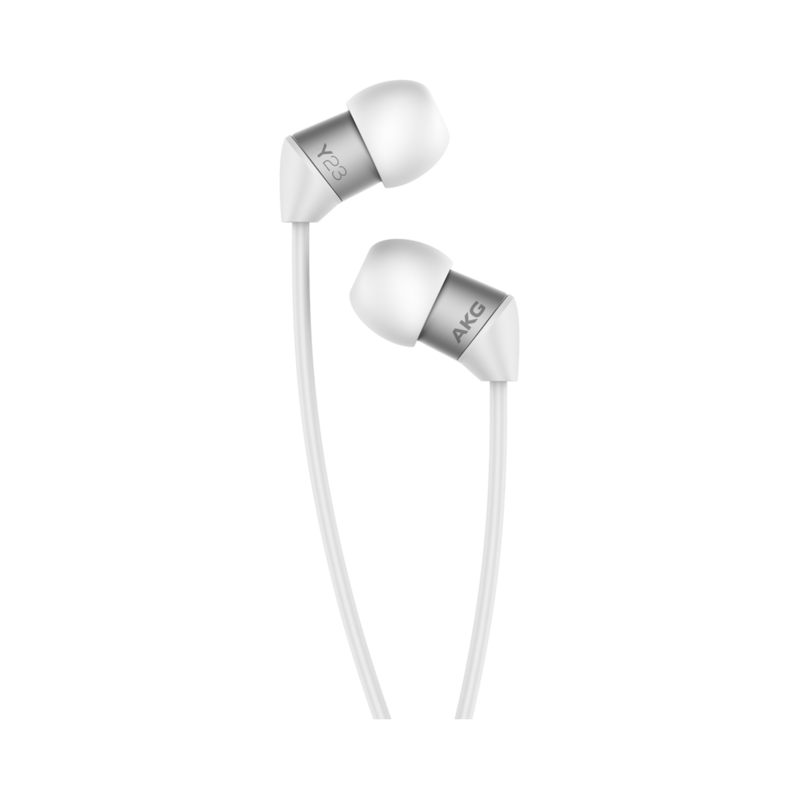 Studio-quality sound in the smallest in-ear headphone available – featuring extreme comfortability with a featherweight design in 2 colors. AKG Y23 headphones are so small, you won’t believe your ears when it comes to their ability to deliver AKG-quality sound definition. 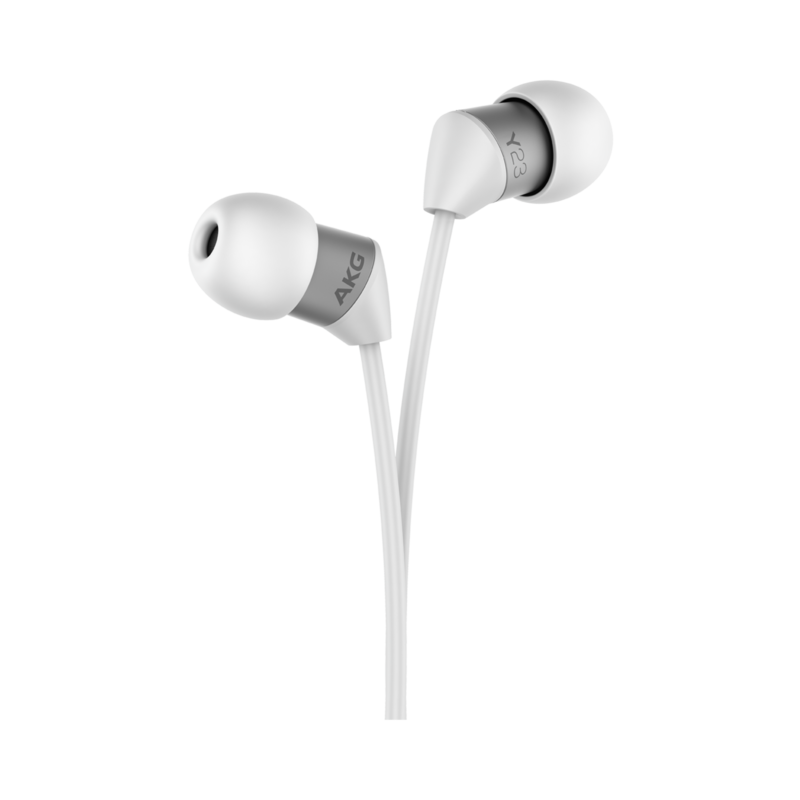 For those who find typical in-ear headphones overly bu lky comes an ultra-small, highly-connective solution that still delivers on studio-quality sound. You won’t know you’re wearing them given their ultra-light weight, miniature design and the choice of four available sizes of ear sleeve for maximum fit. Designed to appeal to those who find typical headphones too big and too bulky, the secret of the Y23’s success is found in their high-caliber sound. You’ll take them everywhere you go – largely because you won’t even remember you’re wearing them. And that’s before you realize you really can’t do without them. Perfect for those living a fast-moving lifestyle which demands staying connected to the real world.